Business leaders today have no choice whether to put technology to work to drive growth, innovation and strategy. Those who don’t won’t be leaders of anything for long. Technology today is fundamentally about perfecting the production of work which, in the past, was made through human effort. Ideally, it succeeds to such an extent that humans are no longer required for those parts of the value chain. Look at any business and you’ll see numerous opportunities for technology to take over and where humans are simply repeating perfect processes. But that is not the case with human creativity. That spark of insight is impossible for machines to imitate perfectly, let alone replace. It’s not because machines lack intelligence; it’s because machines lack empathy. In 2004, about a year after my brother Derek Johnson joined the company, we were realizing that the worldwide network of HUMINT collectors and analysts we were running was starting to get a bit… unwieldy. We started searching for a software tool or system that could help us manage the integration of sources, output of reports, and the security of all that information that our incredibly diverse, worldwide range of clients were relying on us to safeguard. We reviewed over a dozen different commercially available systems (few of whom are still around as of this writing) and even went so far as to write a comprehensive competitive intelligence software review as a feature of our CI program development consulting. Ultimately, none of these tools would do. So we decided to build our own. Derek’s college roommate (and best man in his wedding), Greg Ervin, was a classically trained economist who had taught himself software engineering at one of his first jobs out of university. More important than his ability to master pretty much any technology we could throw at him, Greg was someone we could trust implicitly (Greg happens also to be a god-parent to two of my four children). Perhaps more to the point, he was available and recruitable. In the fall of 2005, we brought Greg into the Aurora family with the mission of engineering a deeply-tailored “fork” of the Drupal open-source Content Management System. To underwrite the effort, we sold one of these non-existent systems to one of our more adventurous clients who needed something similar. This also established the product development strategy for what would become FirstLight: we would adhere strictly to the feature requests of our CI clients in order to improve the product in the most market-driven manner possible, making it more valuable to other clients who would certainly have similar needs. But how could we expect to compete long-term in a well-established market with barriers to entry preventing even the most seasoned software engineering team from finding their profit niche before their startup capital ran out? Heck, we had neither startup capital nor a software engineering team! But we did have Greg. And we had the will to win. Fifteen years ago, there were no serious cloud software providers… they didn’t even call it the “cloud” yet, they were called “Application Service Providers” or ASPs for short. Salesforce.com would emerge a little after we launched FirstLight with its bold “No Software” message, helping FirstLight attract the next tier of clients who could overcome their lingering skepticism of software their IT department couldn’t install on a local server. 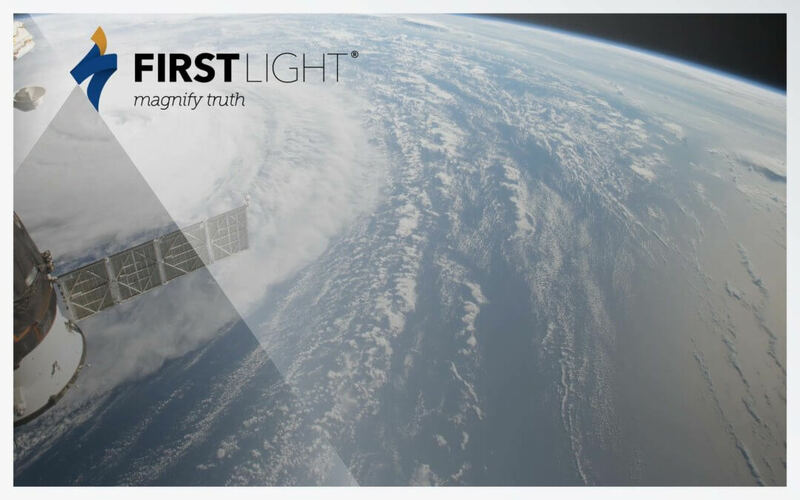 FirstLight originally was positioned as a “Current Awareness” system, uniting all of the signals and indicators from the external environment and threading them together for in-system interpretation and subscription management for an infinite variety of intelligence consumers throughout enterprises large and small. FirstLight’s major development roadmap was based on asking customers what jobs they imagined our system conquering next. Over the years, as you might guess, those feature requests got to be… unwieldy. We needed a visionary product roadmap, one that would realign our original concept of where software fits in the intelligence process with a more modern incarnation of how leadership choices turn into action which drives competitive advantage. As I wrote in an earlier post, our product is not intelligence. Our product is the truth. But for truth to be actionable, it needs magnification. Truth cannot hide in the shadows, alone on someone’s desk. If leaders are expected to use that truth to drive the choices and actions that will influence business success, truth must be unavoidable. To magnify truth, we needed FirstLight to become the platform for uniting the insights that come from collaborators throughout an enterprise sharing their perspectives on what’s happening inside and outside their organization. To achieve that mission, we needed FirstLight to look at all the jobs our clients were struggling to have their precious humans complete and find ways to liberate that invaluable people-power for more creative priorities. I started using the term “reconnaissance” a few years back to describe a core problem confronting competitive intelligence leaders and their clients: lack of engagement in the CI mission by the larger workforce and business partners outside the company. Nobody really cares what the “intelligence” team is doing. Nobody really cares much what company leadership is doing, for that matter. Most employees in business today don’t feel like they’re really that important to the success of their companies, in spite of all the platitudes from the C-suite about the how their “people are the difference”. In fact, most people working in white-collar America are actively looking for a different job! How we change that begins, like most bold campaigns for change, with asking the right questions: How could FirstLight help make each and every person feel like they mattered to the outcomes the company was hoping to produce? Reconnaissance is about intellectually and emotionally engaging the curiosity of the workforce to turn any enterprise into a force to be reckoned with. We think you’re going to love what lies ahead for FirstLight in the years to come. And we’re about to announce how we’re using FirstLight as a critical element in a new project offered under the auspices of our newest brand, RECONVERGE. Whatever you think you know about RECONVERGE from having attended a webinar, one of our G2 summits, or encounters locally, come back tomorrow to learn how RECONVERGE is pivoting to its new mission and where Aurora GPS, FirstLight and RECONVERGE multiply the forces of ALPHA, TRUTH and BELONGING to create competitive advantage for our clients.